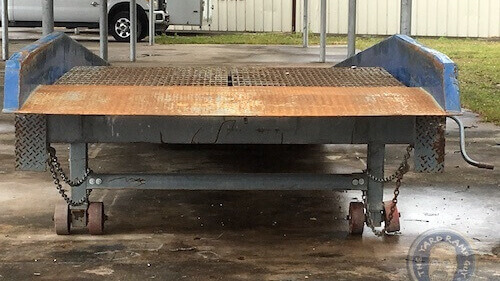 The two photos above are of the same yard ramp. It has a 20,000-lb capacity with 84” width and 36’ length. We took the photo on the left in October 2017. The photo on the right? June 2018. Why does October look okay and June look, well, rusty? What happened in those eight months? Actually, not much. Between last fall and the beginning of this summer, it traveled on rental from Tampa to St. Cloud in central Florida and back again. 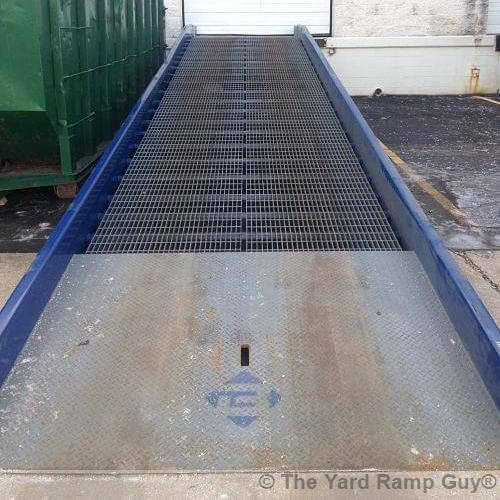 The yard ramp remains a workhorse, and we proudly present it in inventory. Central Florida is known for being quite humid. As we’ve explored in a previous entry, rust is a result of oxidation. Exposure to the elements—swings in temperature, humidity levels, the cycles of rain and sunshine—all contribute to that oxidation. That is: rust is expected. 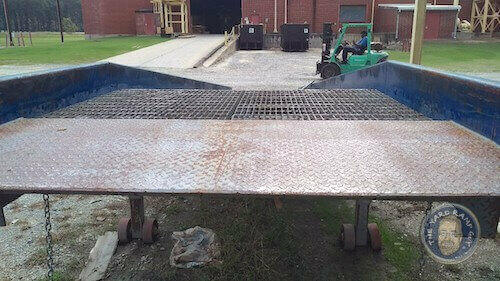 For a new yard ramp, rust will begin to appear some three months after final production. This is completely natural and not a remote concern—for the manufacturer, for the customer, for us. Steel is a combination of mostly iron and carbon and is one of the strongest metals known. 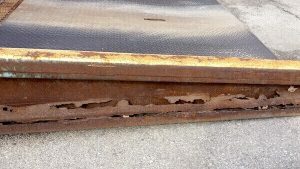 Unless and until the rust completely works through a piece of steel, with structural features showing true deterioration (at which point we’d repair it or take it out of circulation), the yard ramp will function just fine. This is too much rust! 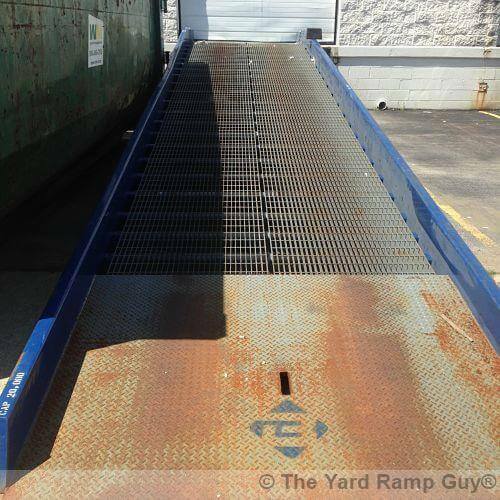 Which brings us to how we evaluate the condition of each and every yard ramp we offer for rent and for sale. A number of factors contribute to our categorization, including age of the ramp and its structural condition. If and when we colonize the moon, The Yard Ramp Guy wants to set up a lunar branch office. Our inventory would remain pristine there. Rust feeds on oxygen, and there’s no oxygen on the moon. Which means no rust on our yard ramp inventory. Until then, we’re grateful to operate here, where there’s oxygen. Makes it easier to plan the day.